The sweet yet sublime Italian dessert has had its fair share of unflattering incarnations over the years. Here are epicure’s favourite places to enjoy this classic dolce. Purists can argue, but rice dumplings need not always be a staid affair of rice and pork. Cooking is a game and it is a sport with very little rules and recipes argues Dario Barrio who refuses to classify his cuisine into a type. Why wake up at 9am when you can have breakfast during lunch or even dinner time? 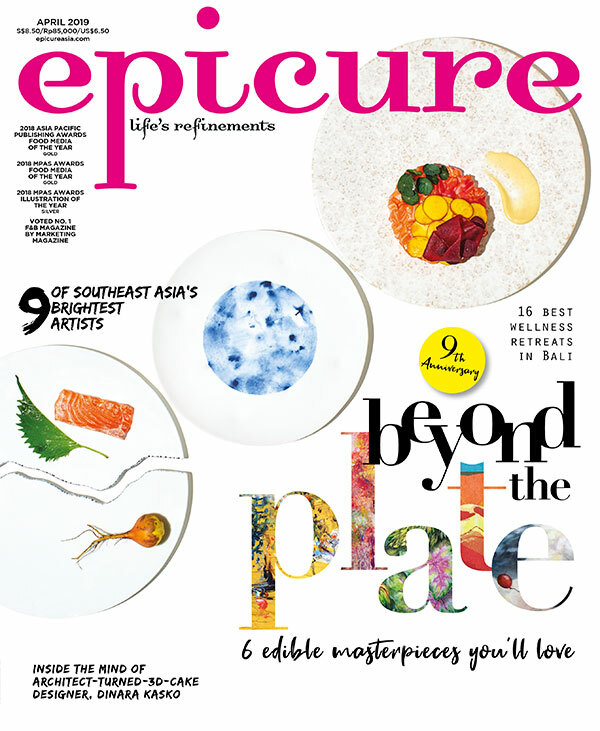 epicure singles out ten spots that give bed-hogging diners a chance to satisfy their cravings. Part rocker, part dare-devil and full-fledged savvy entrepreneur, Hong Kong’s Michelin-starred Alvin Leung embodies a new wave of chefs who combine traditional ingredients with modern cooking techniques. How much can one learn at a three-hour culinary workshop? Plenty, as Adeline Wong and Jasmine Tham find out when the passionate chef in question is Jean-Charles Dubois. This Japanese fine dining restaurant shows that you can enjoy great kaiseki cuisine without burning a hole in your wallet. Join us at The Cliff for an exclusive five-course dinner with matching award-winning Duval-Leroy champagnes from Top Wines on 15 March.